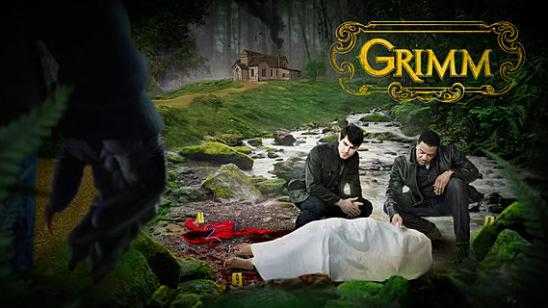 Fairy tale themed “Grimm” has been added to the NBC line up. Grimm will air Friday nights at 9/8c. Remember the fairy tales your parents used to tell you before bedtime? Well, those weren’t stories, they were warnings. Detective Nick Burkhardt (David Giuntoli) thought he was ready for the grim reality of working homicide in Portland, Oregon. That is, until he started to see things…things he couldn’t quite explain. Like a gorgeous woman suddenly transforming into a hideous hag or an average Joe turning into a vicious troll. Then, after a panicked visit from his only living relative, Nick discovers the truth about his visions: He’s not like everyone else; he’s a descendant of an elite group of hunters known as "Grimms" who are charged with stopping the proliferation of supernatural creatures in the world. And so begins his new life journey - albeit a reluctant one at first - as he solves crimes with his partner who knows something about Nick has radically changed but can’t quite put his finger on it. Along the way, Nick finds himself unexpectedly getting help on some of the more difficult cases from Monroe (Silas Weir Mitchell), a guy who seems normal at first but is soon revealed to be what you might call a "big bad wolf." Literally! From executive producers David Greenwalt ("Angel", "Buffy the Vampire Slayer") and Jim Kouf ("Angel", National Treasure) comes a new world of police work where all cases have a storybook connection…but not always happily ever after. "Grimm" also stars Russell Hornsby as Lt. Hank Griffin, Bitsie Tulloch as Juliette Silverton, Sasha Roiz as Captain Renard, and Reggie Lee as Sgt. Wu.